Adelaide & Brisbane businesses now more than ever are looking to be cost effective with their scaffolding solutions.Hillsley Scaffolding has been in the Industry for over a decade and know what is needed for all types of construction scaffolding projects and can formulate the most appropriate structures to keep your workers and/or the public safe in Adelaide and Brisbane. We have erected scaffolding on major projects such as Sam Remo, Viterra Wallaroo, Macweld, Adelaide Convention Centre, Adelaide Railways, Royal Adelaide Hospital, Yatala Jail and more…We are able to build scaffolding to meet any type of industrial needs – any size and any height up to 45m. When working on a residential scaffolding projects you need to choose a supplier that will stick to a tight timeline and stay within budget.Hillsley Scaffolding understands that for residential or some commercial projects, the occupants remain onsite throughout the project. 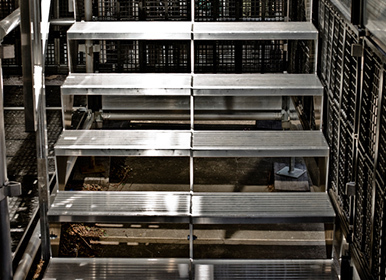 We provide robust and appropriate scaffold structures and equipment to ensure your building project remain completely safe and secure. We have scaffolding solutions that apply to all types of building, construction or re-modelling projects. Adelaide and Brisbane/Noosa businesses now more than ever are looking to be cost effective with their scaffolding solutions.Hillsley Scaffolding has been in the Industry for over a decade and know what is needed for all types of construction scaffolding projects and can formulate the most appropriate structures to keep your workers and/or the public safe in Adelaide and Brisbane/Noosa. 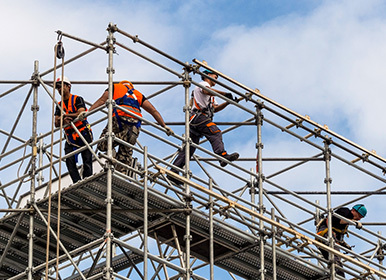 We work with many building and construction companies in Adelaide and Brisbane to provide them with fast and reliable scaffolding services for their projects. If you’re a building or construction firm wanting a scaffolding or hoarding solution, please contact us. Hillsley Scaffolding aims to create and foster strong relationship with our Adelaide and Brisbane clients. We endeavor to supply the very best service possible to the Adelaide Metro and greater metro area (and same for Brisbane). 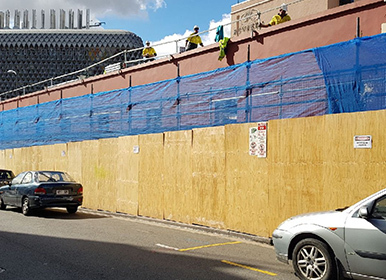 Hillsley Scaffolding aspires to work in a safe scheduled and efficient manner which enables all our clients across Adelaide and Brisbane to be confident that all our scaffolding and contracting tasks will be thoroughly planned and achieved on time. We deliver and erect scaffolding for you in Adelaide and Brisbane/Noosa. We work to deadlines so that you can. Once we have your booking, the time and date specified is linked-in. We arrive and erect scaffolding with speed and experience to ensure you can start your project in Adelaide or Brisbane as planned. Construction and Shut-Downs happen 7 days a week. If you need scaffolding urgently in Adelaide or Brisbane before Monday, then we can help at short notice. Even emergency scaffolding for safety and barriers we can facilitate. Hillsley Scaffolding is an Adelaide based scaffolding company with offices in Dry Creek Adelaide, Moonta on the Yorke Peninsula and Brisbane and Noosa in Queensland. The business has been in operation since 2000.